Home » Blog » How to pamper your office staff with limo hire service? If you feel like your office staff has done exceptionally well on the last project and wish to surprise them pleasantly, you can do a little something for them. 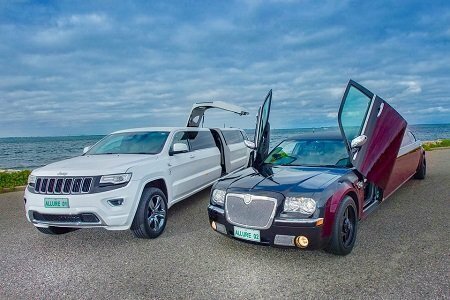 A celebration is in order, and to make it more memorable, you should consider limo hire services. Themed events are always an excellent way for the office staff to unwind. Whether it be a masked party, or perhaps one that everyone needs to get in the shoes of a TV character, you are bound to meet everyone’s enthusiasm. Any combination of such themes works great for providing some fun for the staff, especially when everyone pitches in with their unique taste and ideas. It would be wise to take a good picture of everyone and have it on display in the office. If you wish to set the tone of the festivities right from the start, then a limo ride to pick your employees is a great idea. Not only do they get to socialise and have fun while on the way to the venue, but they will also travel in class and style that only limousines provide. Arrange for them to meet at a certain place and have the limo pick them all up from it. This is an excellent way to pamper your office staff, especially when they have done such a good job on some project. Parties are all great, and they tend to bring people closer together. However, there is one little issue that always seems to bother people: when the party ends, everyone needs to head home. If alcohol is involved and most of the times it is, then people will be forced to take a taxi, which is just plain boring. Why not have the limousine service drop each of them off at their homes? This is the ultimate treatment, though it mostly works if all of them leave at the same time. One of the great features of limousines is that they come with sound systems that can play the music you desire. Play something fun for your staff, especially if you have an all-time favourite hit in the office. As for the party, why not hire a DJ? Many believe this to be unusual, but if entertainment is what you are after, then this is the way to go. While many would argue that organising a limo pick-up for the office is in many ways a gift itself, you can still prepare something else as the main reward. Present it to your team in the limousine or perhaps once you get to the party venue. If you are holding it as an office surprise, it gets even better. These are just a few examples of how you can incorporate limo hire services in a celebration for your staff. Following them will surely make each of them feel special and glad that they are working for such a cool boss.